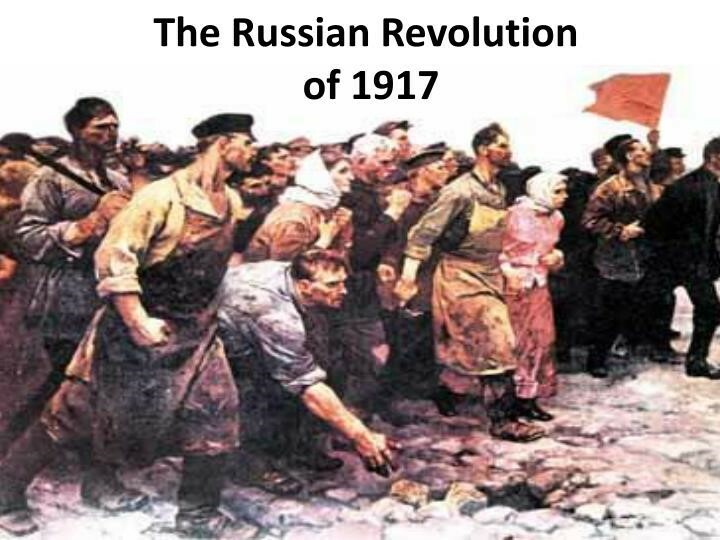 The October Revolution, a 100 years ago, in Russia was a turning point in history. Workers rose, seized power and tried to build socialism; a new society based on solidarity, democracy from below and the all-round development of all women and men. Today, we live in a world that needs to be changed more than then. It is important to understand and draw inspiration from the ideas and struggles which informed the triumph of workers power a century ago. The revolution did not “just happen”. It emerged from the objective conditions of capitalist development and leadership provided by revolutionary organisation that had been steeled in many years of political battles. The Russian Empire was the largest and most populous land in Europe by 1815. But it was still one of the most backward, at the beginning of the 20th century, with a population of 128 million people and 194 ethnic groups. 85% of these were poor farmers. The living and working conditions of the working masses in the urban and rural areas were horrible. Radical groups sprang up to organise resistance and propagate emancipatory ideas. These included populist parties like the pro-peasants Narodniks and Marxists groups reaching out to the working-class. The Marxist groups came together to form the Russian Social-Democratic Labour Party (RSDLP) in 1898. But they remained disparate circles spread across the country. Lenin campaigned for a more centralised party with Iskra (i.e. Spark, in Russian) a revolutionary newspaper published from exile due to the totalitarian situation inside Russia. Revolution was sparked on 9 January 1905 when soldiers opened fire on tens of thousands of workers that had marched to the tsar’s palace to plead for a minimum wage and improved working conditions. More than one thousand people were killed. Hundreds of thousands of workers immediately proceeded on strike. And throughout the year strikes, peasants’ protests, demonstrations spread through the empire. Workers delegates established Soviets of Workers Deputies (i.e. Councils of workers delegates) to coordinate the waves of actions by different sections of the working-class. The tsar issued a manifesto in October making some concessions including the constitution of an (advisory) national assembly for the first time ever. Liberal democrats immediately set up parties such as the Constitutional Democrats to seize this opportunity. By December, the government reasserted its authority and crush the generalised uprising. The tsarist regime reinstated law and order with repression over the following six years. But, the experience of the months of the 1905 Revolution had left a deep impression in the hearts and minds of millions. And on the eve of World War I in 1914, there was renewed upsurge of workers’ resistance. Three years into the war, there were two revolutions which saw workers, peasants and soldiers overthrowing the tsar and the entire old order of the nobility and capitalist bosses. Across Europe, socialist parties succumbed to the mass hysteria of patriotic support for “their” side as the War commenced. Outside Russia, just a few grouplets and leaders of these parties pointed out that the bosses of the different sides were leading poor working-class people to be slaughtered on the battlefield. On February 23, in marking International Women’s Day (the Julian calendar then in use in Russia was about two weeks behind the Gregorian calendar now generally in use, so this was March 8), women marched across the capital city demanding bread. Socialist groups issued leaflets, encouraging the women’s protest. Within a few hours, and quite spontaneously, almost 100,000 women and men took over the streets. And they were no longer just asking for bread. They demanded an end to the war and the overthrow of the monarchy. Thus, did the February revolution commence. Drawing lessons and inspiration from the failed 1905 revolution, the workers established a Soviet of Workers’ Deputies, with about 250 workers’ representatives delegated by the mass of workers from workplaces across Petrograd. Soldiers joined the revolution and this Council became the Soviet of Workers’ and Soldiers’ Deputies. Meanwhile, as this organ of working-class people’s power from below was being established, the legislative chamber i.e. the Duma equally constituted a Provisional Committee. This included a few socialists but comprised liberal capitalists, mainly. Two powers were thus simultaneously instituted, the Soviet from below and the Provisional Committee from above. This situation was generally described as a “dual power” situation. The Soviet commanded the loyalty of the working masses and thus could easily assume power, but recognised the Duma’s committee as the government; choosing to be loyal to a government of the bosses, which really was at its mercy. A major reason for this was the sterile grasp of Marxist theory by most revolutionary socialists (who gave leadership to the Soviet) at the time. One of the distinguishing hallmarks of Marxism as against utopian socialist theory is identifying the laws of social and historic development. Marxists understand that socialism is a more advanced social-economic form that will emerge through working-class struggle, from within the wombs of well-developed capitalism. The working-class would constitute majority of the population with capitalist development. And with enhanced productive powers from industrial development, there would have been more than enough to fulfil the needs of everybody while everyone could contribute to society according to her or his needs. Further, there would democratic rights would have been expanded for socialism to thus be the conquest of the fullest of substantive democracy in all aspects of social life. But Russia was far from being an advanced capitalist country. It was backward economically and politically in comparison to other European countries. Thus, it appeared to make common sense for the capitalist bosses to lead the democratic revolution which overthrew the tsar while the working-class would wield influence or better put “hegemony” over the bosses’ class in this process. After the 1905 revolution, Vladimir Lenin argued that the bosses’ class could not lead even a democratic revolution in Russia. But, with peasants as the bulk of the population, he was of the view that a strictly workers’ revolution could not triumph. Thus, an alliance of the workers and peasants would be needed to defeat both the tsar and the bosses, and a democratic government of workers and peasants would be formed. The experience of the 1905 revolution however made Leon Trotsky to go further, developing the theory of permanent revolution. He argued that the point of departure for understanding capitalist development is international and not national. Capitalism had globally become developed to an extent that it had objectively become a brake upon human social and economic development. And while there is unevenness in the levels of development between economically advanced and backward countries, those backward countries do not just reflect how the advanced countries were before they became advanced. The nature of their development combines both backwardness and some economic, and political characteristics of the advanced countries. A major consequence of this is that, on one hand, the bosses’ class in a country like Russia would be lack boldness to give leadership to a democratic revolution, while the working-class despite its small numbers was the only class that could be wholly committed to a democratic revolution. And it would have to continue the struggle to the logical conclusion of a socialist revolution. How far the working-class goes would emerge from the concrete realities of the balance of forces in this ceaseless struggle and not some self-constraining conception of stages of revolutions. 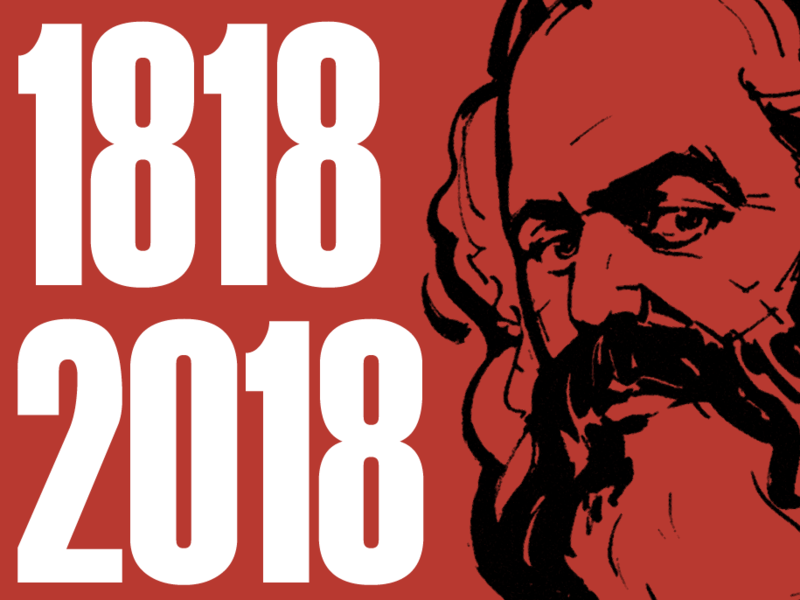 Between February and October 1917, the battle of ideas had to be fought within the ranks of the revolutionary left to shake off the lethargy of Marxism learnt by rote instead of as the critical guide to action that it is. Lenin flagged off this battle with a ten-point perspective he presented (the April Theses s) to the Bolsheviks. He argued that: the Provisional Government represented the bosses’ class and should not be supported by socialists; power had been placed in the hands of the bosses’ class precisely because of the insufficient levels of class consciousness and revolutionary organisation of the working-class. The Theses further called for “All Power to the Soviets”; the salaries of elected officials being no higher than the average wages of workers; nationalisation of all lands, which would then be democratically distributed by Soviets of Agricultural Labourers’ and Peasants’ Deputies, and; the formation of a new revolutionary International, against the Socialist International whose member parties in different countries had supported the war, as earlier pointed out. The ideas of the April Theses influenced workers and soldiers who violently took to the streets in July demanding “All Power to the Soviet” in Petrograd, in July. The rebellion was crushed and a campaign of calumny launched against the Bolsheviks. But, when one General Kornilov who had been invited by the Provisional Government to help ensure law and order in the capital tried to overthrow the same government in August, it turned to the Bolsheviks, releasing some of its leaders such as Leon Trotsky. The party had the respect of the most militant sections of the working-class and its influence deepened with the Kornilov affair. The pendulum of politics began swinging more radically to the left, at this moment. Strikes in the cities and peasants uprisings in the countryside became more combative. By September, the Bolsheviks had a majority in both the Petrograd and Moscow Soviets. Debate raged within the party on the need to seize moment for socialist revolution. Proponents for action won, and on 25October (7November on the Gregorian calendar), the Military Revolutionary Committee (Milrevcom) led by Leon Trotsky took charge of government buildings in Petrograd. The triumph of the “workers’, soldiers’ and peasants’ revolution” was proclaimed as the first step to “creation of a soviet government”. The bosses nationally and internationally fought back, determined to crush the nascent workers state. Members of the overthrown nobility, right-wing military generals and other anti-communists constituted a “White Army” of counter-revolution. This waged a bloody Civil War that left 8 million people dead from November 1917 to October 1922. They were supported by military advisers and over 200,000 soldiers from twenty-one countries, including; Britain, USA, France, Italy, Japan. There was famine in 1920 and 1921 due to poor harvests, worsened by the war. By today’s prices, the war cost the young workers’ state $35bn. And not less than 50,000 communists were slaughtered by the While Army. These included some of the finest young Bolsheviks. Before the end of the war, Lenin suffered the first of a series of strokes and he died less than two years after the war ended. This marked the beginning of the end for workers’ power in Russia. A coterie of party men constituting the bureaucracy of party and state gradually, but surely, began hollowing out the spirit of the October Revolution, in its own name! These were best symbolised by Stalin, one of the leaders of the October revolution, but who Lenin advised should have been removed from the leadership of the Bolshevik Party. The October revolution was the first workers’ revolution to successfully take power in a country. It was part of a revolutionary wave that swept through Central Europe as World War I ended. In Hungary and Germany, workers took power, but these governments were crushed, isolating the young Russian workers’ state. Isolated externally and suppressed within, working-class power was overthrown in Russia in the 1920s, by a new class dominant class of bureaucrats. What remained still retained the name ‘communism’, but like any capitalist country, a small elite lived in privileged riches whilst the majority of people suffered poverty, repression and little if any democracy. Rather than private companies owning and running the economy, it was the state run by a new class of bureaucrats that took over the role of the bosses. For this reason, the Soviet Union was from the late 1920s till it collapsed in 1991 a bureaucratic state capitalist country. It no longer represented the communist ideals of equity and workers’ democracy. A state run economy and national planning helped the Russian economy to grow quite fast until the global economic slowdown of the 1970s. This, and its lip service to socialism made the later Soviet system an attractive model for many in the national liberation movements across Africa, Asia and Latin America. However, the impact of the global slowdown on the Soviet Empire in the 1970s and 1980s confirmed that, despite central planning the logic of its development was capitalist. It is also not surprising that the main beneficiaries of the sideward movement to liberal capitalism, were from the ruling class of yesterday. Most of the billionaires that emerged were part of or tied to the bureaucratic class in the old USSR. The October Russian revolution of 1917 remains an inspiration for workers and youths fighting for the self-emancipation of working-class people. It shows that another world based on solidarity, equity, justice and democratisation of every facet of social life can be built with workers’ power. It also presents us with important lessons. If the Bolshevik party of communists had not provided such leadership 100 years ago in Russia, workers would not have come to power, despite the February revolution. Leading Bolsheviks like Lenin and Trotsky also realised that the triumph of a workers’ revolution in Russia without this signalling the spread of international socialist revolution was inadequate for systemic change. As we strive to change the world, we must at all times see our struggle as part and parcel of a broader worldwide struggle, forging solidarity with working-class people across Africa and the world at large. Capitalism is in a state of crisis like never before in almost a hundred years. The bosses in Nigeria and everywhere are making poor working-class people bear the brunt of this system’s failure. We must unite and fight, to overthrow this degenerate exploitative and oppressive system. The Great October Socialist Revolution serves as inspiration in our struggle to do just that. We have nothing to lose but our chains, and a world to gain.